It looks like a good weekend for road trips here in the Midwest. We always enjoy cramming in a few events this time of year. Here are two that you might enjoy. 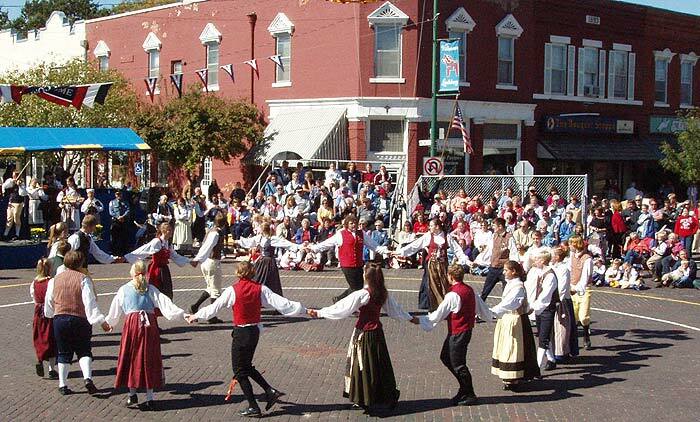 It's time again for Svensk Hyllningsfest, the Swedish festival held in Lindsborg, Kansas, every two years. This year, it runs from October 12-14. Ace went to somewhat great lengths to disguise himself for the festival two years ago. 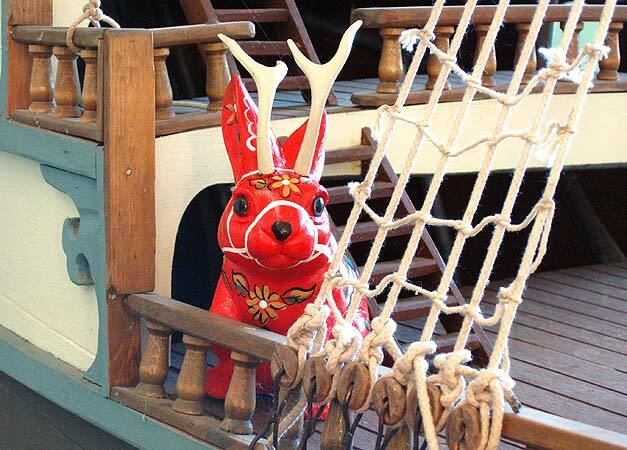 See the results and learn about Lindsborg in Valkommen, Dalalope. The festival itself was a blast to cover. See our photos of it here. 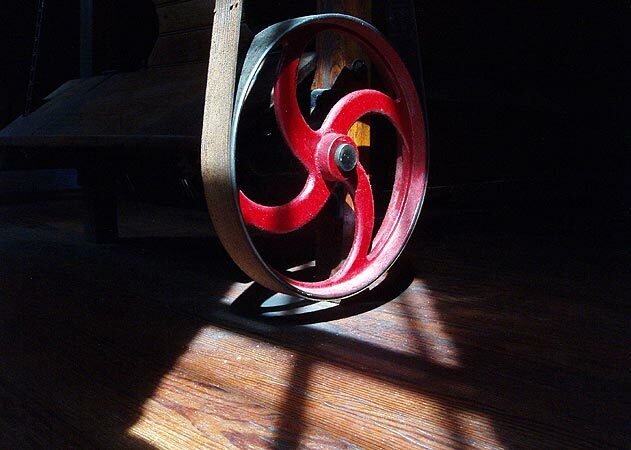 If you go, be sure to check out the 109 year-old Smoky Valley Roller Mill and the rest of the McPherson County Old Mill Museum. 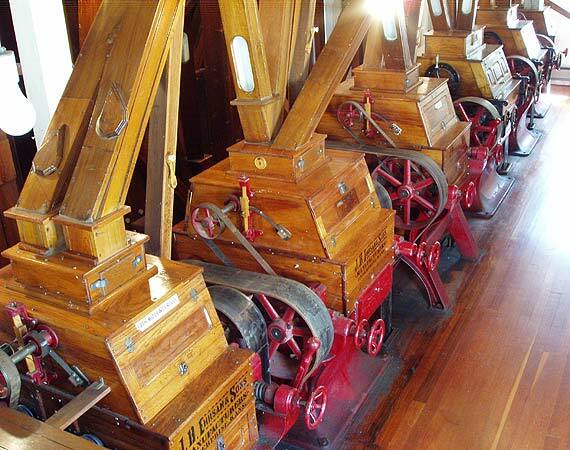 It's like being inside a giant, multi-story Victorian machine, which is essentially true. They still crank it up once a year, though that won't be this weekend. See more of this wood and metal marvel here. One of our guilty pleasures is the occasional attendance of science fiction conventions. One of the best-run in the country is actually Tulsa's annual Trek Expo, which is being held today through Sunday at the Crown Plaza hotel. Suzie Plakson played Worf's love-interest, "K'Ehleyr" (hottest Klingon woman, ever), on "Star Trek: The Next Generation" as well as "a gay gynecologist" (her wording, not mine) on "Mad About You." She also played a female "Q" in Voyager. Check out the way her website is presented; it's refreshingly different for a Hollywood-type. Claudia Christian played "Commander Susan Ivanova" on "Babylon 5", one of my all-time favorite sci-fi shows, due to its long-term Tolkien-inspired story arcs. Robert Picardo played the cantankerous holographic doctor on "Star Trek: Voyager." Ethan Phillips played Neelix on "Star Trek: Voyager. He's a nice guy; I met him right before Voyager premiered when he appeared at the Kansas Cosmosphere to meet a Make A Wish Foundation kid. The child unfortunately could not make it, but Phillips was a polite guest of the facility and his eagernes to entertain a very sick kid made a lasting impression. I remember that he described the up-coming Nelix's wardrobe as "somewhere there's a couch running around without upholstery." Andee Frizzell plays the "Wraith Queen" on "Stargate Atlantis." Bonnie Piesse played the young version of Luke Skywalker's Aunt Beru in the latest two Star Wars films. Richard Anderson was "Oscar Goldman" in "The Six Million Dollar Man." I considered making a bionic jackalope to pose with him, but realized the bionic bit was done mostly with slow-motion and sound effects, and Ace in a exercise suit just isn't all that cool. I'm more interested in Anderson's role in the sci-fi classic, "Forbidden Planet", anyway. Now that's some real cultural history. You know the now-iconic (and much borrowed for parody) crippled Captain Pike from the classic Star Trek episode, "Menagerie"? Sean Kenney played the guy in the chair. He also had small parts in that series. I don't recall if he was ever sent behind a rock to check out a noise while wearing a red shirt. Authors Robin Wayne Bailey, Selina Rosen, R.A. Jones, Glen Sixbury and Michael Vance will appear, as will artist Keith Birdsong. The following two actresses will appear Saturday only. Kate Mulgrew played "Captain Janeway" 0n "Star Trek: Voyager." Melody Mooney (not sure if that's her real name) played Hygena on the Stan Lee reality show, "Who wants to be a Superhero?" will appear. I've got to confess, I don't know a thing about this one. The following two actors will appear on Sunday only. LeVar Burton, is an actor of diverse accomplishment. He played "Geordi LaForge" in "Star Trek: The Next Generation", and that would be enough to be of note. Before that, he stared in "Roots" which is the first mini-series I remember seeing. However, his greatest cultural impact may be from his creation and production of "Reading Rainbow." Ron Glass, who is probably best known for his role in the long-running TV show, "Barney Miller", is another one of these guys who has had a zillion roles on TV. As to sci-fi, he played "Shepard Book" in the TV series, "Firefly" & the subsequent movie, "Serenity". He also had a part in an episode of "Star Trek: Voyager". See you all somewhere on the road!